lebih outtakes of Josh Hutcherson for Seventeen Magazine. . Wallpaper and background images in the josh hutcherson club tagged: josh hutcherson peeta mellark actor the hunger games hutcherson josh 2013 photo seventeen. 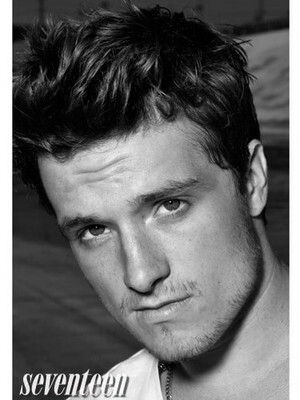 This josh hutcherson photo contains potret, headshot, and closeup.